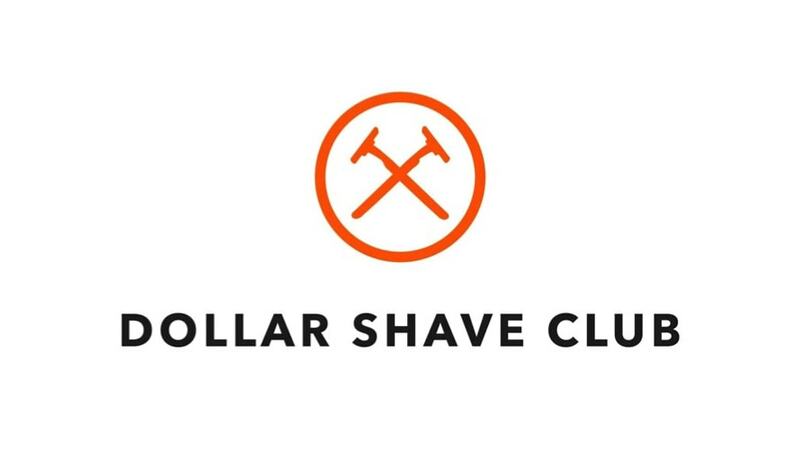 Dollar Shave customers are not happy with where it is advertising. 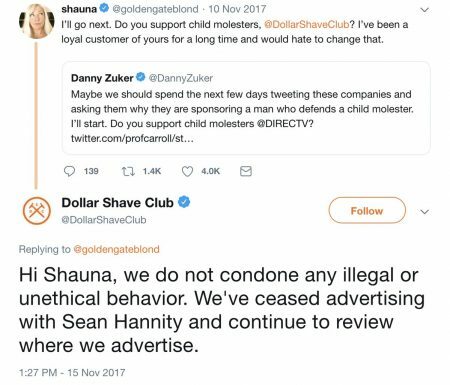 After a story in Fast Company detailed digitally native razor darling Dollar Shave Club’s continued relationship with Fox News firebrand—and Michael Cohen client—Sean Hannity, Twitter users were not shy in voicing their disapproval. And, in multiple instances, they cancelled their subscriptions to join rival razor clubs like Harry’s. According to the report, which posted at 7 a.m. 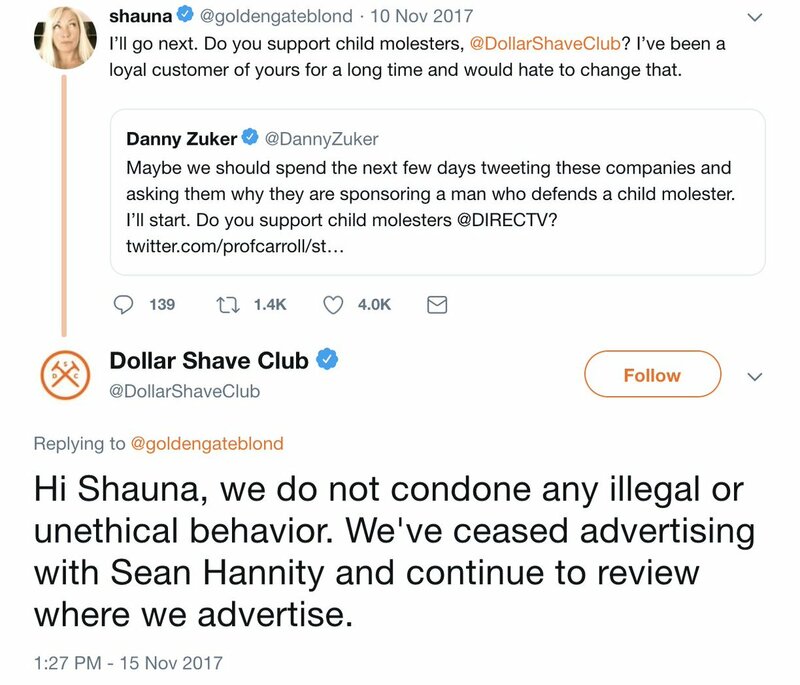 ET, Dollar Shave had allocated part of its $34 million commercial budget to both Hannity’s TV and radio shows in 2017, but distanced itself—via tweet at least—after Hannity supported Alabama Senate candidate Roy Moore against accusations of sexual misconduct. 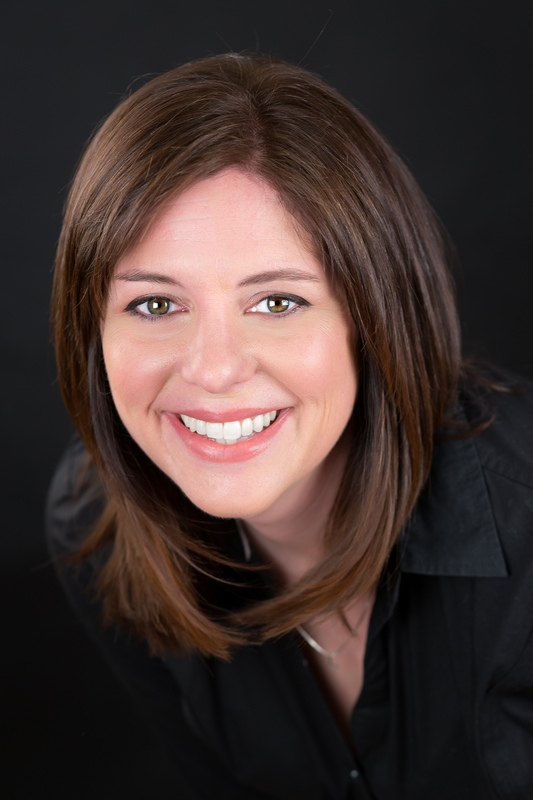 However, a rep for Fox News said the ads were only on Hannity’s radio program. 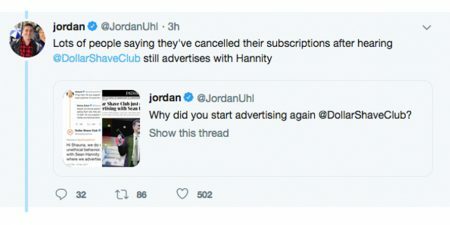 Citing data from media monitoring firm 360 Media Watch, Fast Company said Hannity was making on-air mentions of the brand during a September radio broadcast—one of dozens—despite a November 2017 tweet that says it ceased advertising with Hannity. Reaction on Twitter was swift—while tweets note “lots of people” cancelled their subscriptions, it wasn’t immediately clear how this will impact the razor brand’s bottom line. 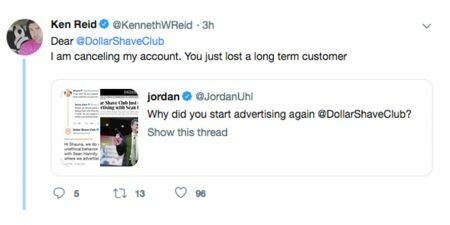 Dollar Shave did not respond to a request for comment. That being said, Hannity—and colleagues like Laura Ingraham—are certainly no strangers to boycotts like this in the wake of controversial statements.